Many Bed and Breakfasts have great settings for weddings at the Inn. Most innkeepers say they have been approached at least once by couples inquiring about their Inn as a possible venue for their nuptials. 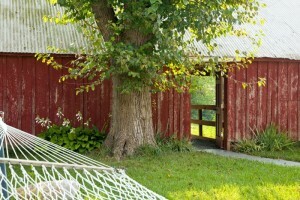 Whether it is a rustic picturesque barn, landscaped garden with views or perhaps an outdoor amphitheater or gazebo, it is the uniqueness that is appealing. Bed and Breakfasts and country Inns are a natural. With larger banquet halls and hotel event spaces, the ‘natural’ has to be artificially created. Not so appealing! If you are an aspiring innkeeper that has pondered the idea of adding weddings to your business plan, read on. In the 2010 Innkeeping Quarterly, the cover story was ‘The Rise of the Small Wedding’. In 2014 the trend is still around and growing. The B&B Team has a number of properties listed for sale that do weddings from small to large, the intimate and the ultimate. I talked with a few experienced innkeepers about their weddings at the Inn. Here is what they have to say about the subject. Kristie Rosset is the owner/innkeeper with her husband Ray of Lookout Point Lakeside Inn in Hot Springs, Arkansas. She is also an ordained United Methodist clergyperson. A quote from Ray; “She truly enjoyed officiating at weddings. With her experience, she understood that she could help couples create a meaningful and beautiful wedding that might ‘feel’ like a church wedding, but the setting would be outdoors in a beautiful lakeside garden.” Their specialty is small intimate weddings, nothing over 50 people. Having policies and contracts in place before the first wedding is booked is very important. From the Rossets; “A solid contract is critical-even for elopements! The only way weddings can work well and efficiently is through great communication in writing through a rock-solid contract that both parties sign. When we are clear (and caring!) from the beginning of the wedding conversation, we protect ourselves and our inn from being taken advantage, we are seen as professionals, and we expect the highest standards of behavior from our guests. It’s a win-win.” Tip: They say they are happy to share their contract with anyone! Innkeeper Maryanne Shanahan of the Hawthorn Inn in Camden Maine did not plan to have weddings at her Inn when she became an innkeeper over 12 years ago. But her first guests often told her that the Hawthorn Inn would be perfect for weddings. Voila, June 2002 twenty-two people booked the entire inn and her wedding business began. She advises to communicate with the couple face to face about what type of wedding they want, aka, their vision. If Maryanne doesn’t think she can deliver she will be forthright and gently tells them they may want to look elsewhere. Tips: She likes to encourage afternoon weddings followed by a brunch. Easier and less expensive for all involved. 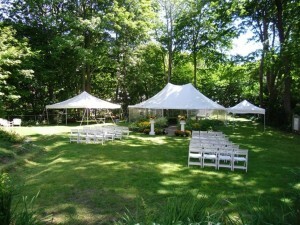 The smaller groups of about 20 are more manageable but her outdoor weddings can accommodate up to 80. Danielle Hanscom, innkeeper of the Brampton Inn in Maryland started ultimate and ended up only doing intimate weddings of up to 20 people. She said her earlier experiences with large weddings were not only stressful for her but stressful on the property. Innkeepers must respect their septic systems! She also commented on stiletto heels on old original hardwood floors that caused significant damage. Something she said she had not thought of. Live and learn. Temporary runners would be a suggestion. She books about 30 small weddings a year. She says this is a manageable number for the Brampton Inn. Tips: Make sure your electrical system is up to date and can handle extra loads for outdoor lighting and music amplifiers. Control the noise levels and adhere to any local ordinances. The three inns interviewed have chosen the intimate wedding venue route. For the property and for the innkeepers this was their choice. Not that a small wedding can’t be the ultimate in experience as well as a great source of extra revenue. The celebratory nature of the bed and breakfast business is both fun and a profit maker. Return guests, you bet. The married couples often return year after year on their anniversary. The celebration continues at the Inn well after ‘I do’.! 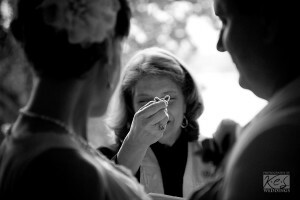 A wonderful side note: Maryanne and now husband Bill were married at the Hawthorn Inn in 2007. They call it ‘a perfect partnership for the Inn’. The goal is not the size of the weddings but the commitment to make your Inn’s intimate weddings the ultimate in experience as well as revenue and good will. As the Rossets said. It’s a win-win. This entry was posted on Friday, June 13th, 2014 at 8:46 pm	and is filed under Market Trends. You can follow any responses to this entry through the RSS 2.0 feed. Both comments and pings are currently closed.